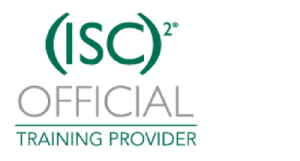 The Certificate of Cloud Security Knowledge (CCSK) has been significantly updated to reflect changes in the cloud and security landscape. CCSK version 4 is aligned with the 2017 version of the CSA Cloud Security Guidance document. This better reflects current operational realities in cloud. While older versions assumed a “the cloud is dangerous, by definition” attitude, the new version takes a more balanced risk perspective. More real world discussions of cloud migration strategies: forklifting versus cloud native. Discussion of the EU General Data Protection Regulation (GDPR), together with a few other regional regulations. Completely modernized presentation of IT infrastructure, the management plane and how to protect against cloud disasters. Elimination of traditional datacenter security. It is not that it is not relevant, but it is covered better elsewhere. More software defined stuff: Software Defined Networking (SDN), Software Defined Perimeter (SDP). Description of DevOps and the associated security risks and benefits. Clearer and more up to date description of data protection controls, including CASB. The domain on Security as a Service now actually has examples. A completely new domain that addresses IoT, mobile, serverless computing, and Big Data technologies and their security implications. The exam objectives now also include understanding of the Cloud Control Matrix, which is a good tool for assisting in cloud risk assessments. The CCSK Plus training always had an AWS based set of labs. Version 4 expands and updates these labs to include a fairly complete amazon cloud security approach. As a result this makes CCSK and the body of knowledge much more up to date and relevant for current day cloud deployments. If you want to have an in-depth overview of the new CCSK, its usefulness, applicability, and so on, sign up for the “Understand CCSKv4” online self paced training (free through this link). Or come to my webinar on the difference between the version 3 and version 4. To find out about my next CCSK v4 online training go straight here.